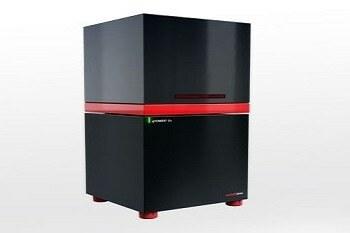 Analytik-Jena’s qTOWER3 is a dynamic thermal cycler for PCR. The system uses a patented fiber optic shuttle, powered by 4 high-performance LEDs to create the perfect excitation conditions, facilitating the detection of all known fluorescent dyes up to dark red wavelengths. The qTOWER3 uses silver block technology and depending on the experimental needs the systems Filter Modules can be adjusted or upgraded. The qTOWER3 uses a novel, unique fiber optic shuttle system, equipped with 4 high-performance LEDs, to provide optimum excitation and detection of all known fluorescent dyes up to dark red wavelengths. To further optimize detection 6 different filter modules are available. These can be upgraded in the future, ensuring that the system is always performing the best it can over its lifetime, which is under warranty for 10 years. Heating in the qTOWER3 is achieved using silver block technology, which allows temperature overall 96 wells to be controlled to within ±0.1 °C. If gradient heating is required the LGT can be used. The system can be provided to work with a PC, or as a fully independent system with control via an integrated 10” tablet. The provided software automates analysis with its own high-performance algorithms; which includes endpoint detection, melt point analysis, absolute and relative quantification, PCR efficiency, ddCT, allelic discrimination, PCR efficiency, and protein analysis. A wide range of different dyes are available for PCR. The novel RGBW light source provided with the qTOWER3 allows efficient excitation of any dyes in the visible range. 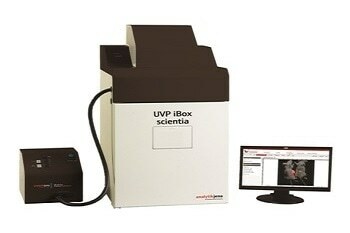 This system means the optimum quantum yield for each dye is achieved in dynamic experiments. This means that even the most challenging multiplex experiments using up to 6 different fluorophores can be run easily. Fiber Optic System (FOS): The qTOWER3’s shuttle system, equipped with 8 optical fibers, can provide full readings of all 96 wells in 6 seconds regardless of how many dyes are used. This system is also covered by the 10-year guarantee. The Filter Module System of the qTOWER3 can be adapted and upgraded as required to suit any application including for protein binding analysis, and also hybridization (FRET) and hydrolysis (e.g. Taqman®) probes. 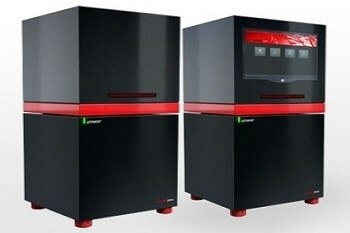 The qTOWER3 is designed for adaptability to future advances in PCR technology and its additional modules (e.g. FRET, Color or Protein) means it can be used for many different applications. All provided modules possess the optimum combination of emission and excitation filters. 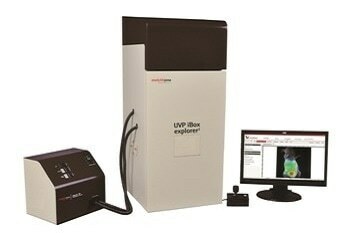 When these are used alongside the systems light source the detection of fluorescent dyes is optimized. One of the key elements for an optimized PCR analysis is the sample block. To provide the best results and efficient and uniform thermal transfer the qTOWER³ uses a silver thermal block coated in gold, to provide better heating than aluminum blocks. The silver block provides rapid heating (8 °C per second) and an extremely stable temperature (±0.1 °C) over the entire system – making it the best system for dynamic PCR. For variable temperature experiments the device can set up a temperature gradient over the 12 columns with a maximum difference of 40 °C. The LGT means users do not have to define upper and lower limits of temperature, and instead they can define increments in temperature based on the calculated primer annealing temperatures; making the gradient experiments straightforward and easy to carry out. A motorized heater lid is used to avoid condensation, which can result in sample loss. The heating lid can reach temperatures of 110 °C and means that, irrespective of which consumables are present, there is the ideal contact pressure on the vessels during the entire PCR run. The provided software, qPCRsoft, is designed for ease of use with all of the different functions logically displayed with memory and programming for the simple re-running of past experiments. Whilst the machine is taking measurements data from previous experiments can be evaluated with no problems. The software automatically calculates thresholds, standard curves/Ct-values and the efficiency of PCR. When required, more functions can be also automatically run such as the ddCt method (dependent or independent on the PCR efficiency), and absolute and relative quantifications. The software is also programmed with algorithms for allelic discrimination, point mutation determination, probe-based assaying, and amplification plots of positive/negative analysis. 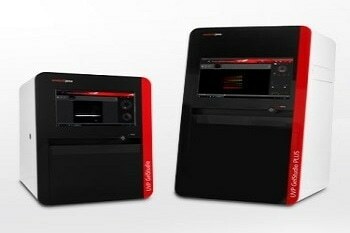 qTOWER³ can be provided as a totally independent system operated through an integrated 10” tablet - The qTOWER³ touch. Experiment development and running can be achieved through the integrated monitor with navigation through an easy-to-use navigator which allows users to program cycles, monitor progress and evaluate Ct-value data. The data collected by the qTOWER³ touch can be easily transferred to a PC for further analysis. 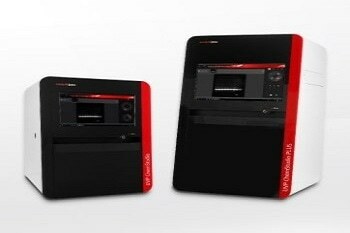 The qTOWER³ or qTOWER³ touch are both set to revolutionize dynamic PCR experiments. They are perfect tools for life science research with a high reliability and 10-year warranty.